Plastic has made our lives easier but at what cost? As the cover of the June 2018 National Geographic notes, 18 billion pounds of plastic wind up in the ocean each year. It’s unclear how long it takes for plastic to completely biodegrade, estimates range from 450 years to never. A bit about plastic: its production took off in the mid-1950s and has grown exponentially over each subsequent decade. Of the nine billion tons of plastic produced since then, nearly seven billion has become waste and ended up in our oceans. Ocean plastic kills millions of marine mammals each year. Some are harmed by six-pack rings and discarded fishing nets –– plastic we can see. Other fish and marine mammals are harmed by what we cannot see, like micro-plastics –– the tiny bits of plastic smaller than 1/5 of an inch that litter the seas and beaches all over the world. 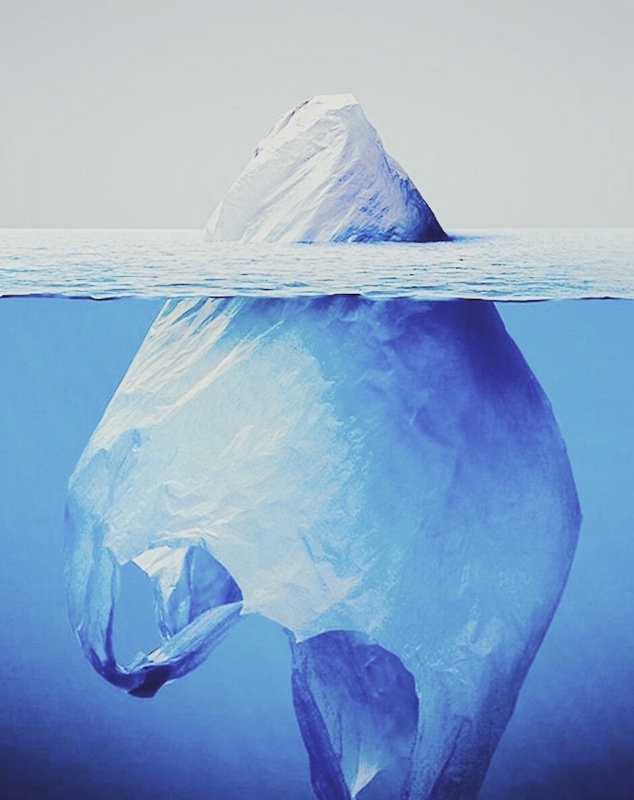 Microplastics are found from the depths of the seafloor all the way up to the ice floating in the Arctic, and these particles are poisoning our oceans, poisoning fish and marine mammals, poisoning our planet. For more on this urgent issue and what you can do, check out the eye-opening National Geographic article here.